On the major social and political issues of our time, George Mason University economics professor Walter Williams is one of America’s most important and provocative thinkers. He is black, yet he opposes affirmative action. He believes that the Civil Rights Act was a major error, that the minimum wage actually creates unemployment and that occupational and business licensure and industry regulation work against minorities and others in American business. Perhaps most importantly he has come to believe that it has been the welfare state that has done to black Americans what slavery could never do: destroy the black family. 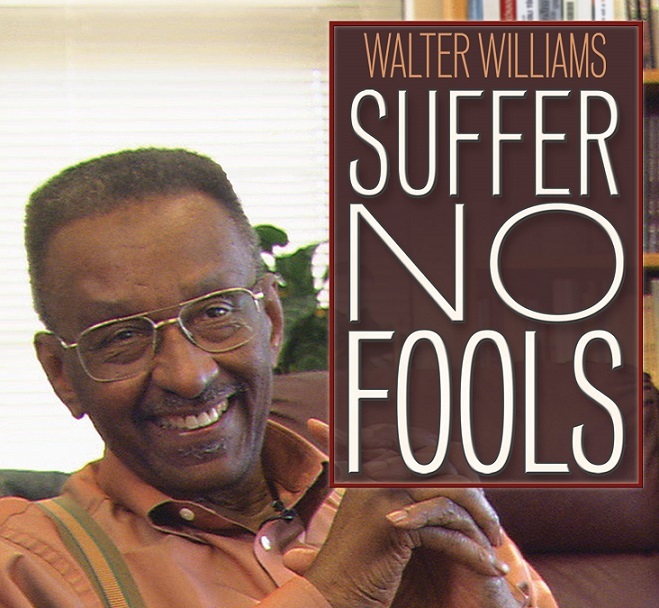 Walter Williams expresses all of these provocative ideas and more in this new public television documentary produced by Free To Choose Network. The program features material drawn from extensive contemporary interviews with Dr. Williams as well as appearances by authors and scholars: Charles Murray, Shelby Steele, Thomas Sowell, Douglas Ginsberg and others. A rich archive of photographs and motion pictures supports this uniquely American story. The program traces Walter Williams rise from a child of the Philadelphia housing projects to become one of America’s most important authors and commentators and features the events of the 1960′s when Walter Williams realized “black people cannot make great progress until they understand the economic system.” It was then that he concluded that what America needed was to heed the words and the ideas of the Constitution.